The groom wipes a tear from the bride's faces as she reads her personalized vows that she wrote for her husband. The four bridesmaids in the back choke back tears and smile at each other, holding the bride's veil that just blew off in the wind. 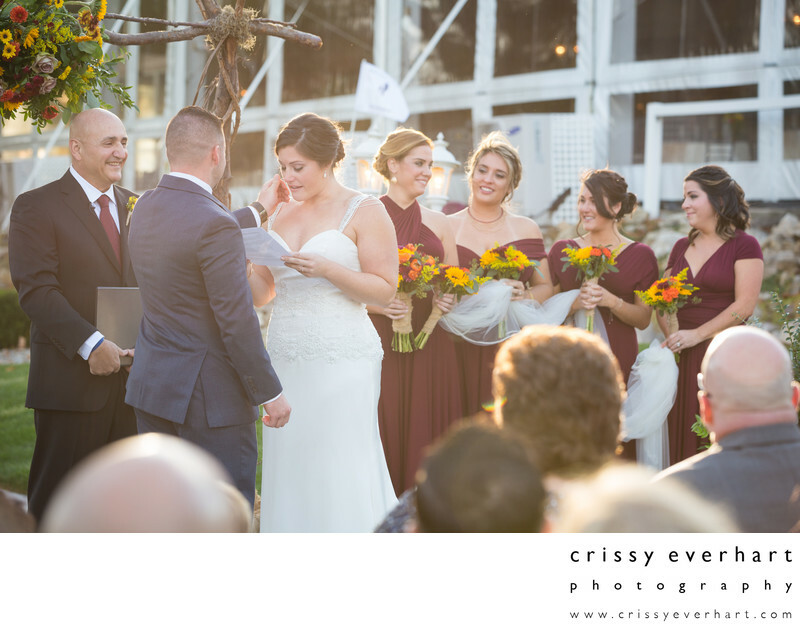 The fall light was amazing and the weather was perfect for this October outdoor ceremony, and after the formalities, the guests and wedding party all celebrated with the bride and groom in the heated tent at the Manor House.